Grandmaster Jan Gustafsson continues to provide a warts-and-all account of events in the chess world. His latest update is (loosely) dedicated to the tournament that just got underway in Poikovsky, while he also harks back to his blogging days. Let’s face it – at the moment none of the superstars of the chess scene are in action. Carlsen, Aronian, Kramnik, Anand and Nakamura are on a break, so what can I report about? The US Chess Championships are underway and we’re broadcasting them live. Without Nakamura, however, the tournament is likely to be of limited interest in our language area (Jan wrote in German), although the young guns are making life very tough for the veteran Kamsky. Cuba is the setting for the Capablanca Memorial. I’m following it as it features a large troupe of chess24 contributors and my colleague Paco is also playing in the A Group. For some, though, it’s more of a holiday tournament, even if Dominguez is now number 10 in the world, Wesley So is on the rise and Ivanchuk remains Ivanchuk. 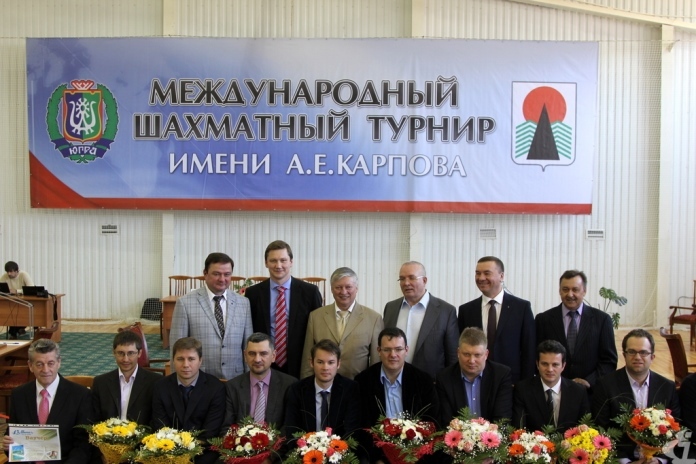 Today they were joined by the Poikovsky supertournament that began in Siberia. 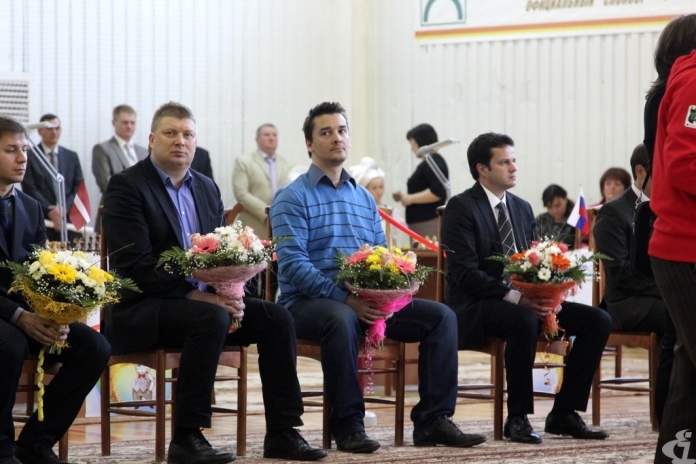 A strong field - Morozevich, Shirov, Bacrot, Jakovenko, Motylev etc. There are of course a few other storylines, with the colourful world of chess politics always coming up with something. The FIDE Presidential Election is just around the corner. Kasparov’s supporters seem confident of victory. Sceptics and Ilyumzhinov supporters, however, think it’s a familiar scenario and cite the flawless track record of the current FIDE administration come election day. In Norway, meanwhile, there are other worries. The 2014 Chess Olympiad is short of some anticipated small change and the Tromso organisers aren't happy that the Norwegian Chess Federation is now also seeking to host the Carlsen-Anand World Championship match. Money is also the talk of the town in Germany, as the government has cancelled its support for the chess federation. Moreover, players have been reluctant to sign a new agreement aimed at combating cheating. All topics you could take on, but I guess for that you should be a journalist, give sources, do research, talk to the parties involved and what not. That’s not going to happen this Sunday evening as I sit on my balcony in Gibraltar and take a look through the window every couple of seconds to see how the Thunder-Clippers game is going. Which leaves us with my usual approach in the past. I’m more of a narcissistic blogger than a chess journalist, so why don’t I write about stuff that interests me? The problem is I’m mainly interested in nonsense and my hobbies hardly have mass appeal on a chess site. NBA playoffs, Game of Thrones, the return of Jack Bauer? Why Gravity is an awful film? Documentaries on the Eagles and the Bad Boy Pistons that I've both seen about 5 times? The joke of the year from advertising guru Ludger Winter? More Conchita Wurst? No, I’ve always been suspicious when Austrians are reduced to their facial hair. So all that’s not going to cut it. This is a chess site, not www.grantland.com! What would make sense is writing a new column. It’s time for another Master and Meyer – thanks for the feedback! I also like the idea of a “theory duel”, where our coaches compete to solve chess puzzles against each other. What do you think? Trent and Zaragatski, my esteemed co-hosts, are on vacation, so funny videos will have to wait a while. Maybe I’ll a do a few unfunny ones one of these days. So then… before this study in procrastination gets out of hand I’ll take the easy way out for today: a new chess tournament has started, averaging around 2700, so I’ll cover some highlights! I’ve no idea how the tournament got this name. Is Karpov the only player to have a memorial tournament in his name while he’s still alive? This event as well has a very friendly character, and the participant list looks more or less the same each year. The new addition is the Croat Ivan Saric, who was nominated by the ACP after they took his latest achievements (winning the Wijk aan Zee B Tournament and the Croatian Championship, sharing second place in the European Championship) into account. 13. ♘e5 A theoretical position which is popularly believed to be good for White. Even Kramnik, however, failed to get an advantage after the following queen sacrifice for only two minor pieces. Bologan nevertheless manages to get a passable position. 18. ♖c4 b5 19. ♖c2 ♗d6 20. ♕e2 ♘e7 21. ♖fc1 ♖f5 22. ♗c3⁉ This offer to return the queen encounters no computer love. That's a final engine weakness, by the way. They still overvalue the queen, so that with a queen vs. x pieces they almost always see an advantage. 23. ♗d2 ♖d8 24. ♖c3 b4 25. ♖c4 a5 26. ♔f2 g5 27. h4 ♗xf3 But now! 28... g4! is a more elegant idea. 29. ♔xf3 g4+ 30. ♔g2 ♔g7 31. ♗e1 ♖b8 32. ♗f2 ♖b5 The resulting endgame should be roughly equal, but in what follows Morozevich gradually makes his extra exchange tell. 33. d5! A good practical decision - at the cost of a pawn White gains space for his rooks and bishop. 33... exd5 34. ♖4c2 ♘f5 35. ♖c6 ♖b7? 36... ♖b5 was the way to go. 37. ♖xd5 ♗xf2 38. ♖xf5 ♗xh4 39. ♖xh5 ♗d8 40. ♖d5 Dominance! The black passed pawns radiate no fear. I'm not sure whether Bologan had any chance to draw in what follows, but I couldn't discover one. 40... ♖b8 41. ♔g3 ♖a8 42. ♖d7 a4 43. ♖c4 axb3 44. axb3 ♖b8 45. ♖xg4+ ♔f8 46. ♖f4 ♗e7 47. ♔f3 ♖b6 48. ♔e4 ♖e6+ 49. ♔d5 ♖e3 50. ♖e4 ♖xe4 51. ♔xe4 This ending doesn't seem to be holdable. Morozevich's conversion is slow, but secure. P.S. The Clippers have won, Lenderman and Kamsky as well. P.P.S. Paco has lost – Dominguez got him. More tomorrow.